"I loved they physician, Dr. Soviero." "Dr. Soviero is the best. She is warm, caring, knowledgeable, and honest. Best person to have as your doctor." "Her bedside manner was wonderful - a rare trait to see in MDs. She was professional and kind and answered all my questions/concerns re: my birth control and Pap smear questions." "The doctor never introduced herself to me when she walked into the room. Just sat on the stool and asked me what was going on." "Dr. Soviero was wonderful. I had a negative reaction with a procedure and she stayed with me and reassured me throughout the whole process." "Dr. Soviero has great bed side manner, very knowledgeable, caring, & gave realistic perspective on any of my questions." "The doctor was compassionate, and was comforted by her calm demeanor. I felt as though she really cared." "Dr. Soviero is an excellent doctor. She is caring, compassionate, and genuinely interested in her patients wellbeing. " 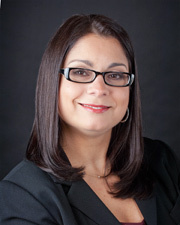 "Dr. Vanessa Soviero is friendly and professional. I feel confident in her care. " "The doctors are so great. This is why I keep coming back." "After examination she left the room and didn't say anything." "dr soviero was excellent , I would recommend her very highly"
"I was very impressed with the doctor and feel she addressed all my issues and concerns." "I have already recommended Dr Soviero to my family and friends. Many have already made appointments"
"I feel very comfortable w/Dr. Soviero." "I am very happy with Dr. Soviero. I feel comfortable talking to her about all of my health concerns." "Dr. Soviero is wonderful!! All doctors should be like her! Knowledgeable, compassionate, warm. A real gem!" "Dr. Soviero ALWAYS makes me feel like a priority & she takes all the time w/me that I need. She ALWAYS makes me feel well cared for & comfortable." "Soviero was very helpful through a rough visit. I just wish that I didn't feel she rushed out." "As stated above, Dr. Soviero is amazing." "I've already recommended several people, Dr. Soviero was wonderful." "I always recommend her. Tell my friends if they want a Doctors...Doctor she is the only one." "Dr. Vanessa Soviero is the BEST! Would recommend to anyone!" "Dr. Soviero makes you feel comfortable & she's easy to talk to." "MD is always friendly but I always have a long wait, she did not explain my situation to me clearly." "She was kind, concise... maybe too concise for my taste, but thorough & answered all questions I had." "Dr. Soviero is wonderful & I did in fact just today recommend her to a friend looking for a new provider."